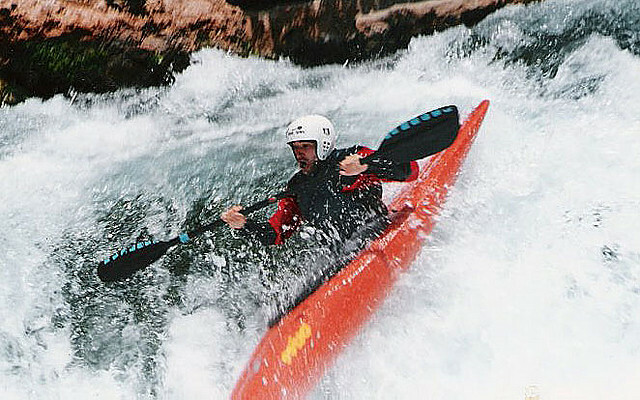 Kayaking and canoeing are rough outdoor activities that involve being in the water for long periods of time. Obviously these are not the ideal conditions to take your camera into, but there are ways for you to carry all your camera equipment without damaging them. As photographers we are obsessed with capturing once in a lifetime moments, even if it means putting ourselves or our equipment in danger. While these methods of protecting your gear can minimise any damage that may occur, they are not completely foolproof. A hard case such as the Pelican cases offer the best protection for your camera equipment. The Pelican cases also allow you to quickly grab your camera and place it back without too much hassle. When sealed correctly they are completely waterproof and airtight. They are extremely sturdy and robust being able to withstand impact without damaging the contents of the case. The downside of using a Pelican case is the size and weight of the cases. There are various different sizes of the Pelican case that you can buy. The size of the case comes into play when you are trying to find a place to store your case inside the canoe or kayak. With all your equipment packed into the Pelican cases they could also become very heavy and this can become a bit of a nuisance along the trip. There are specially made waterproof SLR cases that wrap around your entire camera and lens. There is a plexiglass area in front of the lens that allows to take photos through the case. These cases allow you to take photos while there is water splashing around on your camera and can be used for underwater photography. While these cases provide a versatile waterproofing solution, they don’t protect your camera from bumps and impacts. Crafting a DIY protective bag for your camera using a dry bag and some foam for padding is another method of carrying your camera equipment for trips like this. A dry bag offers a lightweight and compact waterproofing solution for your camera. While dry bags are great for keeping water out they aren’t completely waterproof, often leaking when left submerged in water for extended periods of time. While a dry bag is much lighter and smaller than a hard case, it is actually more difficult to use. Due to the nature of how the dry bag is manufactured and put together it can be a hinderance to grab your camera and put it back in, especially when you are moving around in the waves. If you don’t want to deal with carrying heavy cases or don’t want to risk damaging your expensive equipment, you should consider buying a waterproof camera specifically for trips like this. You can carry your camera in your pocket and pull it out whenever you feel like taking a shot. While your image quality will suffer, you won’t have to worry about your equipment throughout the trip. This blog is great for travelers and camera lovers. Great tips like how to pack camera gear for kayaking. This is very useful as many are not aware of it. DSLR Cameras Bags is the right choice for photographers who can take care of there cameras easily. Camera backpacks & Video camera cases are the essential things needed for any traveler.